The music industry remains heavily male-dominated. At the largest music businesses, the gender pay gap is more than double the national average: 46 percent at LiveNation and 49 percent at Warner Music UK. What’s more, according to research conducted by Pitchfork, only 19 percent of artists booked across major festivals in 2018 were women, or groups with at least one woman member. 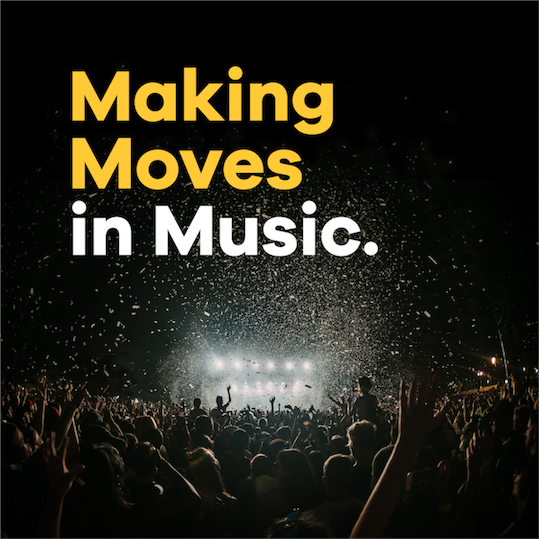 Bumble wants to help change this with Making Moves in Music (MMM), an international campaign and contest designed to give women DJs access to mentorship from top music executives as well as masterclasses in major European cities and Los Angeles. Participants will also be granted the opportunity to work with renowned electronic music label Astralwerks and secure a guaranteed performance slot at one of the biggest festivals of the summer, Mysteryland 2019, run by Dutch entertainment giant ID&T. In a genre where the artist is so often assumed to be a man, Bumble hopes to raise awareness of gender inequality through MMM and tangibly shift the dial to help women become DJs and producers. Whether you’re a producer, a performer, a single artist, or part of a collective, Bumble wants to hear your music. Applications for the initiative will open December 3rd 2018 and close on December 31st 2018.